A Garda investigation into illegal adoptions from St Patrick's Guild is unlikely to result in any prosecutions, according to sources. Ten sample files were handed over to An Garda Siochana by the Child and Family Agency Tusla last February. Officers are probing whether fraud offences were committed under the adoption law when children's births were incorrectly registered. It has been revealed in recent days that 126 people who were given up for adoption were led to believe that their adoptive parents were in fact their biological mother and father. The cases were uncovered when Tusla was sorting through 13,500 records from St Patrick's Guild that were filed between 1946 and 1969. While some would have discovered their true identity over the decades, as many as 79 had no idea they were adopted. Speaking earlier this week, Children's Minister Katherine Zappone said the practice of recording adoptive parents as the natural parents "was, and still is, a criminal offence". However, sources have told the Herald they have "very little expectation" that prosecutions will follow. St Patrick's Guild was linked to the Sisters of Charity but it's understood that most, if not all, of those involved in administering adoptions in the years under review have died. It is understood gardai may also face difficulties associating the practice with any one individual. While the practice of illegal adoptions was long suspected, the Government went public in relation to St Patrick's Guild after index cards were found attached to 126 files with the words "adopted from birth". "This phrase raised suspicions," Ms Zappone said. Asked about the investigation into the adoptions, Acting Garda Commissioner Donall O Cualain said gardai were "examining that at the moment, and it would be inappropriate at this juncture to comment further". 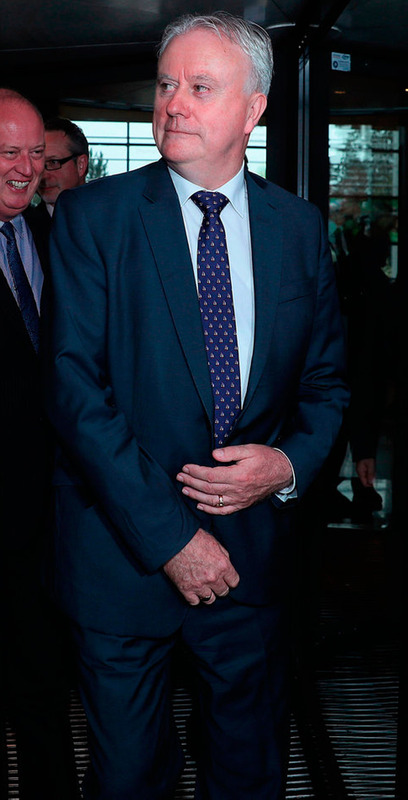 Speaking in general terms, Mr O Cualain said there would be "issues around following the chain of evidence, wherever it leads us, in the context of any historical investigation and that will be a challenge". Meanwhile, Ms Zappone is to call a meeting with opposition parties for June 13 in a bid to reach agreement on the long stalled Adoption (Information and Tracing) Bill 2016. It will create for the first time a statutory right for adopted persons and persons who have been subject to incorrect birth registration access to their birth certificates and other information. Tanaiste Simon Coveney told the Dail it is now hoped to have the Bill enacted by the end of the year. He said Ms Zappone was "very anxious" to talk to other political parties, saying its passage had not been stymied by the Government side. Former Labour Party leader Joan Burton, herself an adoptee, said it was a "human right" for people to access information about their identity, including birth certificates. "They cannot get them because all the power lies with the adoption societies and their inheritor, Tusla," she said. Sinn Fein's Eoin O Broin said serious questions still need to be answered about what happened at St Patrick's Guild. "The shocking revelations in recent days in respect of the extent of illegal adoptions carried out by the St Patrick's Guild adoption society, run by the Sisters of Charity, have rightly caused much anger and angst. "Successive governments have known about this and have failed to act despite reams of evidence," he said.